NDA (2) 2018: Notification, Application Form (एनडीए 2 आवेदन फार्म): Union Public Service Commission has made the announcement for the release of NDA II Online Application Form 2018 on 6th June 2018 for recruiting the young and eligible candidates in Indian Army, Indian Air Force and Indian Navy. The NDA Exam is conducted twice a year and therefore candidates who are interested in appearing for NDA 2 Exam can now get here NDA NA Notification 2018 and get precise information of the recruitment process. Apart from this candidates can check here details of UPSC NDA 2 Exam Date. Therefore all the unmarried male candidates interested to excel their career in Indian Defence Forces can get complete details here. In regards to more details of eligibility, fee, selection process etc check the article below. Union Public Service Commission (UPSC) conducts the NDA Exam twice a year in the month of April and September to recruit candidates in Indian Army, Navy and Air Force. Thus applicants interested to build a career in Armed Force Department must fill NDA Application Form 2018 which can be accessed online. Thus while filling the application form aspirants need to register themselves by providing their required details. 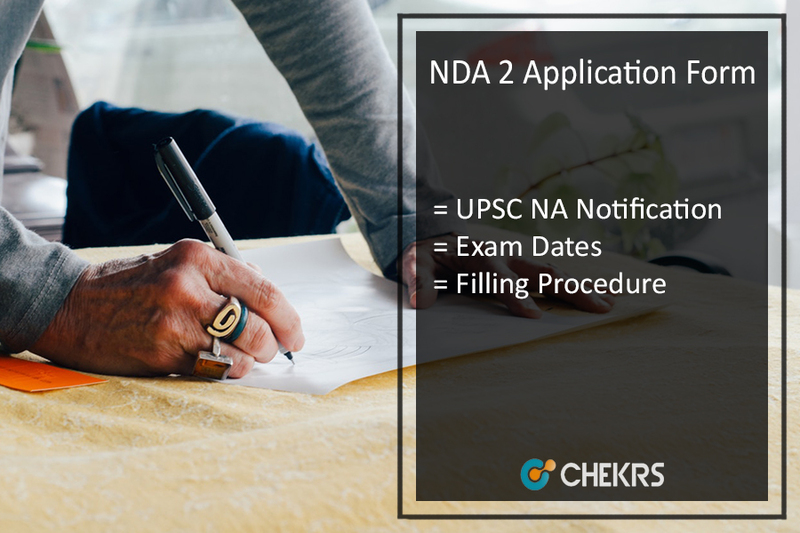 UPSC NDA Part 2 Registration includes two parts and thus before filling NDA II Application Form, candidates need to carefully go through the information provided. Below we have provided the steps to NDA Application Form 2018 Download. UPSC recruits the young and eligible candidates for army, navy and airforce jobs on the basis of NA/ NDA exam which is conducted every year. Therefore the authority has released UPSC NDA 2 Notification 2018 through which candidates will be recruited in the army and navy jobs. Thus all the interested applicants must fill NA Application Form 2018, soon before the last day. The application process of NDA Application Form 2018 Part 2 has already started, thus candidates need to fill it and apply accordingly. The authority will conduct NDA 2 Exam in September and accordingly Exam Results will be declared after one month. Now click on “Click Here” for registration part-I. Fill the necessary registration details. Now a registration number will be generated. Now go through the link of Registration part-II. Read the declaration and click on “I Agree”. Now take a printout of the application form. Candidates should be medically fit as per the norms set by the authority. For apply for NDA-II, candidates must be born between 2nd January 2000 to 1st January 2003. Union Public Service Commission (UPSC) conducts NDA exam every year for recruitment of candidates in Defence Forces such as Army, Navy and Air Force. It is a national level examination conducted twice a year, namely NDA I and NDA II. Therefore candidates interested can now get here UPSC NDA 2 Application Form and accordingly fill it in prescribed mode. For more updates keep visiting our portal. In the case of query, place your comments below.